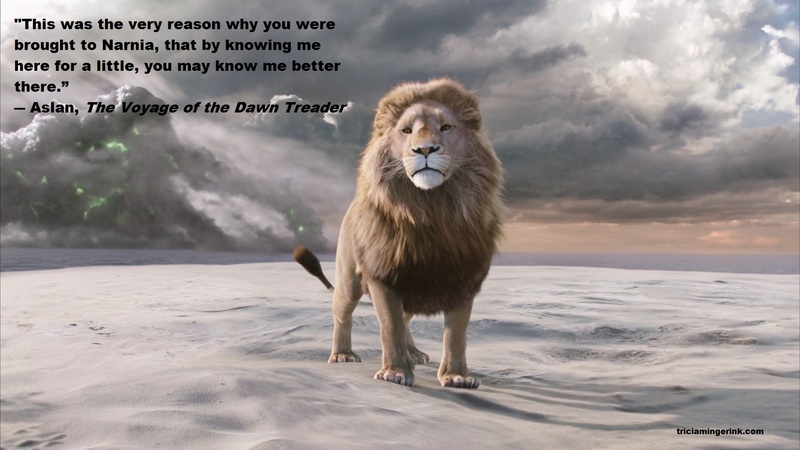 The Voyage of the Dawn Treader is my favorite book in the Chronicles of Narnia. I always loved the thrill of the sea voyage. I could feel the sea breeze on my face, hear the creaking of the ship’s timbers, and touch the cold spray on my face. I was always sad when it ended and Edmund and Lucy had to leave Narnia for the last time. I knew Aslan’s other name. I knew C.S. Lewis referred to Jesus and I did know Jesus in our world. As I began writing and telling my own stories, I realized Lewis was giving his reason for writing the entire Chronicles of Narnia in that quote. He hoped that his readers would get to know Christ a little in Narnia so that they could know Him better in their own lives. This has become my goal as a writer. Like Lewis, I like to write speculative fiction, especially fantasy. Even if my fantasy doesn’t directly reference God or Christ, it still shows Christian morals and decision, much the same way that J.R.R. Tolkien showed Christ throughout The Lord of the Rings. But my goal is always the same. I might be only showing a tiny aspect of Christ, a fragment of all the glories that He is, but my prayer is that God will use my small efforts to help readers know Him a little better. Fantasy gives me the freedom to approach topics from different angles, much in the way that Lewis gave us different angles to Christ through Aslan. Historical fiction can only go so far. Fantasy can make us think about our faith differently. What genre do you write? What is your goal in writing it? I suppose I’d write something else if I had an idea for it, but I don’t, or at least, not yet. The Voyage of the Dawn Treader and The Horse and His Boy are my favorite Narnia books, though I do enjoy all of them.